Over the past several weeks, the Texas Secretary of State's office has received numerous calls from Texans who have indicated they have received pre-filled voter registration applications containing information which, as applied to them, is false and potentially fraudulent. Today, Texas Secretary of State Rolando Pablos convened a conference call to help resolve the apparent confusion relating to the voter registration status of students at Prairie View A&M University. We remind all eligible Texas voters that online voter registration is not available in the State of Texas. Any web site that misleadingly claims to assist voters in registering to vote online by simply submitting a digital signature is not authorized to do so. Texas Secretary of State Rolando Pablos today invited all eligible Texans to celebrate and participate in National Voter Registration Day by ensuring they are registered to vote ahead of the October 9th voter registration deadline. A mobile station issuing Election Identification Certificates will be at the North/South Student Center Plaza at the University of Houston on Tuesday, September 25, 2018 from 11:00 a.m. to 3:00 p.m.
Texas Secretary of State Rolando Pablos today convened the second Border Trade Advisory Committee (BTAC) meeting of 2018, his fifth since taking office, focusing on cross-border transportation infrastructure and technology. Spain is not only a key part of Texas' past, but also a key partner in our state's economic future. Texas Secretary of State Rolando Pablos today hosted the second installment of The Texas Secretary of State's Consular Roundtable Series in partnership with the LBJ School of Public Affairs at the University of Texas at Austin. Texas Secretary of State Rolando Pablos today delivered the keynote address for the first-ever Japan-Texas Economic Summit, hosted by the U.S.-Japan Council (USJC). Texas Secretary of State Rolando Pablos today convened the first Border Trade Advisory Committee (BTAC) meeting of 2018, his fourth since taking office, at the Texas Department of Transportation (TxDOT) state headquarters. Texas Secretary of State Rolando Pablos today hosted the first-ever NASA Innovation Day, bringing together leaders from NASA's Johnson Space Center, state agencies, the Texas Legislature, the University of Texas at Austin, economic development organizations, and the private sector to expand and develop partnerships in science and technology innovation to stimulate economic growth across the Lone Star State. Texas Secretary of State Rolando Pablos today welcomed His Highness the Aga Khan, the spiritual leader of the worldwide Shia Ismaili Muslim community, to Texas on the occasion of his Diamond Jubilee. Editor’s Note: State Bar of Texas President Joe K. Longley sent the following message to members Wednesday. As we celebrate the holiday season and prepare for 2019, I offer this update on some recent happenings at the State Bar of Texas. The State Bar Board’s Budget Committee met December 13 to hear presentations from department and division heads on their proposed budgets for the 2019-2020 fiscal year. After a full day of reports and deliberation, the committee voted to advance the proposed budget to the full Board of Directors. I am pleased to report that for the second straight year, the proposed budget adopted by the Budget Committee will hold total general fund expenditures to under $44 million without a reduction in State Bar programs or services. The proposed budget includes a contribution to reserves of approximately $1.2 million, increasing the amount in reserves to a level equal to three months’ operating expenditures. This is in line with auditor recommendations to have between two and four months of operating reserves available. The board’s Committee Review Subcommittee met December 14 to continue its review of State Bar standing committees to determine whether there is a continued need for each committee and whether there is any unnecessary overlap of activities. The subcommittee will make its report to the State Bar in January on recommended changes to the committee structure. State Bar Board meetings are open to the public. The next quarterly board meeting will take place at 9 a.m. Friday, January 18 at the Texas Law Center, 1414 Colorado St., in Austin. The public is also welcome to attend the board’s Executive Committee meetings, which typically occur prior to the quarterly board meeting. The next Executive Committee meeting is scheduled for 10:30 a.m. Thursday, January 10 at the Texas Law Center. Agendas and related materials are posted at texasbar.com/board at least seven days before each meeting. At the January meeting, I will ask the board to approve my nomination of San Antonio attorney Marc E. Gravely as State Bar director for District 10 (Bexar County), Place 1. Gravely is nominated to replace San Antonio director Tom Keyser, who is resigning from the board next month. Gravely is a partner in Gravely & Pearson, LLP whose practice includes complex commercial and business litigation. Among his many qualifications, he has served as special counsel to the State Commission on Judicial Conduct and for the Center for Infrastructure Assurance and Security at the University of Texas at San Antonio. I want to introduce you to the new team at the Texas Lawyers’ Assistance Program, or TLAP. Staff attorney Chris Ritter has been promoted to TLAP director following the retirement of Bree Buchanan in October. Austin attorney Erica Grigg has been hired as a new TLAP staff attorney, joining clinical professional Shawna Storey-Lovin and administrative assistant Penni Wood as members of the caring and professional TLAP staff. Also, since August, TLAP has been partnering with College Station Municipal Judge Edward J. Spillane III as part of a renewed outreach to the judiciary. Finally, the holiday season can be difficult for many people. If you are struggling with mental health or substance abuse issues—or know someone who is—you can call TLAP’s confidential hotline at 1-800-343-8527(TLAP), which provides assistance to lawyers, judges, and law students. TLAP also operates the American Bar Association’s National Helpline for Judges Helping Judges at 1-800-219-6474. Find more wellness resources on the TLAP website. I wish you joy and peace this holiday season. If you have any comments or questions about the work of the State Bar, please feel free to contact me. Gov. Greg Abbott appointed David Whitley as the 112th secretary of state of Texas on December 17, 2018. Whitley replaces outgoing Secretary of State Rolando Pablos. Whitley most recently served as deputy chief of staff to Abbott. Previously, he served as appointments director and assistant deputy attorney general. Whitley received his law degree from the University of Texas School of Law and was admitted to the Texas Bar in 2012. A Net Promoter Score, or NPS, is a metric commonly used to rate customer satisfaction, with scores ranging from -100 to +100: A high NPS means that on average, clients are pleased with your services and are more likely to recommend you, while a low NPS means that there’s room for improvement. In order to be an air conditioning or refrigeration contractor in the state of Texas, one must have 48 months (approximately 8,000 hours) of practical experience. See Tex. Occ. Code § 1302.255. A residential wireman must have 4,000 hours of on-the-job training, while journeymen electricians must have 8,000 hours of on-the-job training. See Tex. Occ. Code §§ 1305.155, 1305.157. A professional drain cleaner must have 4,000 hours of work supervised by a master plumber before he or she can be licensed. See Tex. Occ. Code § 1301.002(2)(A). Attorneys require a grand total of zero practical hours before they may practice law in Texas. This is not, of course, news to any attorneys who have been admitted to practice in Texas or any other state. In its near-300-year history, the American legal education system has never formalized practical training for new attorneys. There are many reasons why apprenticeships, residencies, or simple observation by more experienced attorneys have not been formal requirements for certification to practice law. Some of these reasons may even be valid. The end result of this laissez-faire system is that employers and clients hire “baby” attorneys who have little to no ability to practice law. While law firms and in-house legal departments realize the limitations of new lawyers, the public typically does not. Ordinary citizens will see a law degree and license on the wall of a newly minted attorney and assume that the attorney is fully capable of handling the legal matter that he or she has been entrusted to handle. This leaves the public to purchase unknowingly inexperienced legal advice, while terrified new lawyers desperately try to avoid committing malpractice. As many law firms learn the hard way, an employer is liable for the negligence of new attorneys. An ethics complaint to the bar, a civil suit for professional negligence, or even a simple demand letter cost an employer unnecessary time and expense. Even if the complaint or lawsuit is not ultimately sustained, it still costs a firm money to fight it. And, of course, any malpractice claims that are paid out by a professional liability insurance carrier can result in increased insurance premiums. Ames & Gough, an insurance broker, recently released a survey of its 2017 data on legal malpractice claims. In general, the frequency of claims was found to be similar to prior years, but the severity of claims had increased. Five of the nine leading malpractice insurance carriers reported claims of $50 million or more. This included a claim over $100 million and another claim over $150 million. Law.com reports that the cost of defending a malpractice claim is also increasing. This, of course, is a cost that insurers will inevitably pass on to their insured via increased premiums. Malpractice claims are not only bad for claimants but for all malpractice insurance subscribers as well. One familiar axiom of business is that a disgruntled customer will spread far more dissatisfied word-of-mouth than a satisfied one. Inexperienced attorneys with no support system are not likely to deliver a satisfactory experience to their clients. Disgruntled clients will tell others about their negative experience at your firm. And, as every attorney learns in law school, the goodwill of a business is a real asset with cognizable value. Dissatisfied clients will also lead to a decrease in repeat customers and referrals, which are a significant source of revenue for many attorneys and firms. Attorneys live their lives in six-minute increments. With so much pressure to meet billing quotas and monthly revenue goals, it can be easy to choose one hour of billable research over one hour of monitoring a new attorney in court. But effective business strategies must evaluate both the short- and long-term costs that impair profitability. One hour of court observation may save a business thousands of dollars in hiring costs if it prevents the attorney from quitting. It may also enable a new attorney to bill hundreds of hours and bring thousands of dollars in revenue to the firm. Consider these long-term financial effects before writing off supervision as an unrecoverable cost for your business. For very new attorneys, paralegals may be able to answer basic questions about which forms must be filed with the local court, how to fill out preprinted court forms, etc. Firms will want to be careful about the extent of training paralegals are providing new attorneys. Tasks that only a licensed attorney can perform should only be taught by a licensed attorney. Nonetheless, allowing a paralegal to share his or her vast knowledge can significantly reduce the costs of new associate training. Reconsider your billing requirement structure. Attorneys are protective of not only their time but also that of their support staff. This is understandable. With stringent requirements for hourly billing and departmental income, it can seem pointless for a senior attorney to spend time with a new attorney. It does not provide an immediate benefit to the senior attorney. This is exactly the problem: if billing structures encourage each attorney to prioritize his or her own needs over those of the firm as a whole, the firm will suffer. There are many ways to encourage a change of priorities. Consider giving more senior attorneys an “allotment” of supervision hours in lieu of billed hours. For example: instead of requiring 150 billable hours per month, the firm would require the attorney to bill 140 hours and record at least 10 hours of training a new attorney. Larger firms may have the resources to hire a full-time, designated training attorney with no billable hour requirements. Different structures can be adapted to the specific needs of a particular firm. It is also important to consider the firm’s billing structure for the new associates. A new attorney who has to both teach him- or herself the law and meet billable hour requirements is headed for disaster. Associates should be slowly introduced to the practice of law and the billing/profitability requirements of the firm. Consider documenting the new associate’s profitability under his or her supervisor’s department for a time. This will encourage the supervisor to help the new attorney be productive and profitable. Alternatively, it may be helpful to incrementally introduce the new associate to the firm’s billing requirements. There are different ways to accomplish this: the associate may first be tasked with achieving goals for monthly billable hours, and later introduced to goals for profitability or recovery of accounts receivable. Alternatively, the associate may be given initial goals which are below those of more senior attorneys. Over the course of six months or a year, the goals can be incrementally increased to match those of other attorneys. Make someone accountable for new associate training. Speaking of the firm’s needs as a whole, it is important to designate a person who is accountable for an associate’s overall training. If the firm is exposed to liability, or an associate’s inexperience upsets a client to the point of devaluing business goodwill, the firm will suffer. There must be oversight in the system. In addition to a person who can answer day-to-day questions about managing active cases, it is important that someone be accountable to the firm for protecting its assets. Be honest about why new associates are struggling. No one likes criticism. It can be wounding to honestly explore the ways in which a firm has lost clients, incurred malpractice liability, or simply let down a new associate. But the only way to prevent these losses in the future is to learn why they happened. Was the new associate simply “not a good fit for the firm” or were there ways in which the firm could have offered more support? Was the client angry because of his or her own unrealistic expectations, or did she genuinely receive substandard legal services from an inexperienced new attorney? Was the malpractice suit entirely the new associate’s fault, or were there points at which the firm could have supervised the work and caught the mistake? There will be few—if any—circumstances in which there is absolutely nothing the firm could have done to mitigate its losses. There is no magic wand to fix the problems of new associate training. But it is important that the legal community start an honest dialogue about the very real problems faced by new attorneys. Each of us has a little corner of the legal world in our own practice of the law. We have the choice to enact small changes in our practices that will better serve the public, the community, the profession, the client, and ourselves. Choose. Enact them. Treat the system better than it treated you as a new attorney. Your practice will be better for it, your clients will be happier, your associates will be more successful, and ultimately, the financial rewards will follow. Pamela N. Sandberg is an attorney licensed to practice in Arizona and California. She has worked in law firms across the United States and uses this experience as a freelance legal writer and legal business consultant. Visit sandberglegalconsoluting.com to learn more about Sandberg and the services she offers. Mrs. C.L. Ray, the former Janet Watson, helps Justice C.L. Ray into his judicial robes during his swearing-in ceremony on November 25, 1980. Supreme Court of Texas Retired Associate Justice C.L. Ray Jr., 87, died December 9, 2018, in Lansing, Michigan, per a Supreme Court news release. He died under hospice care in the late stages of prostate cancer. Ray was elected to the Supreme Court in 1980 and retired from the court in 1990. 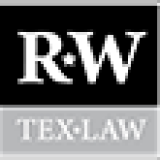 At that time, he returned to law practice in Austin, concentrating on appeals, oil and gas, and personal injury law. Ray served in the U.S. Air Force during the Korean War and enlisted in the Reserve after the war, retiring as a lieutenant colonel in 1987. He received his law degree from the University of Texas School of Law and was admitted to the Texas Bar in 1957. Ray practiced law in Marshall until being elected Harrison County judge in 1959, serving two years before returning to private practice. He was elected to the Texas House of Representatives in 1966 and served until 1970. Ray was elected to the 6th Court of Appeals in Texarkana in 1970 and served there until he was elected to the Supreme Court. To read the Supreme Court’s news release, go to txcourts.gov/supreme. It always pays to do a little research before making a purchase to ensure you find the right product to address your needs—especially if said purchase is going towards your business. Payment solutions are no exception. There’s a wide world of them to choose from, but they’re not all ideal for legal professionals like you. Here, we’ll examine five essential features you should keep an eye out for when shopping around for an online payments processor. A lot of online payment solutions bill themselves as a one-size-fits-all product that can suit the needs of any business. However, this is a bit of a misnomer—in reality, most of these products work best for retail stores, restaurants, and hospitality businesses, as these are the most common businesses in the country. You’ll likely find that these payment solutions have features, functions, and price points that would suit these businesses perfectly. You’re a law firm, though. You’re not selling a product—you’re providing a complex, valuable professional service. A typical paper receipt wouldn’t properly convey the type of work you do for your clients, and doesn’t convey the full value of the professional services you provide. This is why specialized payment solutions are the best fit for law firms like yours. Instead of trying to build a product that pleases everyone, these companies instead hire industry experts to design their product specifically for the legal industry. For instance, they’ll know how important it is to protect your IOLTA account from third-party debiting, as well as keeping your earned and unearned fees separated with each transaction. Plus, their products often integrate with other legal software that you use everyday, allowing you to keep your work organized in one place. In the modern world, online credit card payments have quickly become the most popular way for consumers to pay. To put a number on it—74 percent of households with an internet connection prefer to pay their bills online with their favorite connected devices. Despite this, not all payment processors are designed with this functionality in mind. Many of them are still designed solely for in-person transactions, with online payments as a tacked-on afterthought (if it’s even offered at all). While these solutions can serve consumers more used to traditional methods, they’re missing a key emerging demographic. Rather than settle for one or the other, your best bet is look for a payment processor that will let you do both—send online payment requests that your clients can pay on the go, or take credit card payments through a card reader in your office. While online payments will likely benefit your firm the most, you may sometimes have a need to process payments in person, such as working with a client who many not be as tech savvy as others. There’s no avoiding it—using a credit card processor means you’ll have to pay for fees on each transaction. For many payment solutions, these fees are debited as soon as a transaction is received. This may sound like a reasonable deal, but it can make reconciling your accounts an absolute nightmare. With every transaction in your history, you’ll have to take into account the amount you’ve billed with the amount displayed (which will include your processing fee). Why add extra work to your busy day? Your best bet is to use a payment processor that will debit all of your fees on a single day rather than individually from each transaction. This way, you’ll see 100 percent of each payment in your transaction history, and can view your total processing fees as a separate charge each month. The result? Much simpler account reconciliation each month, which means more time spent serving clients. Speaking of reconciliation, the right reporting tools can make all the difference when choosing an online payment provider. Not only does this information let you balance your books properly, but it can also provide valuable insights in fostering your firm’s success. Of course, this is another area where not all payment processors are created equal. The best payment solutions for lawyers will let you run detailed reports on your transactions, letting you filter them by time frame or the status of the payment. These solutions also make it easy to view your top clients by volume, payment trends, and even export your payment history in whichever format you prefer. In contrast, most payment providers will have metrics tracking gift cards or cash drawer history—stats that might appeal to a point-of-sale business, but a professional service firm like yours will have no interest in. rocessors for professional service firms will let you easily forecast and budget for your expenses by keeping their rates straightforward and easy to understand. Want to learn why LawPay is the #1 online payments solution for law firms? Download our Solution Brochure today!